COMMENTS: I made honey and beeswax soaps easy release. if ypu have teoubke pop on freezer for a few mins and thwy pop roght out cute as can bee! COMMENTS: I used this to mold some lotion bars. They size fits perfectly in my hand and I find them comfortable to hold. The extra detail in this design makes everyone feel they are holding a very special treat. I just wish the mold made 6 ea instead of 5 bars, I prefer to produce things by the dozen. COMMENTS: These molds are perfect for lotion bars that fit in 2oz round tins! COMMENTS: Great Mold with lots of detail .. turned out a beautiful lotion bar. "Great size for for 2 oz tin "
COMMENTS: Had a hard time getting the mold out at first. No matter how hard I pressed or let it sit for a while, it wouldn't budge until I got a hair dryer to it. It worked and the soaps slid right out. 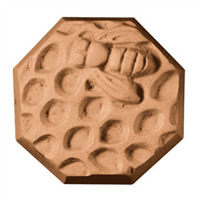 COMMENTS: I love this mold for beeswax lotion bars and honey based melt and pour soap. "Our only lotion bar mold"
COMMENTS: We bought 1 of these and it was such a hit we now have 6 and can really make production easy. These are more heavy duty than most molds like it. It is a thicker material. I dont have to chill these before popping them out. Highly recommend. COMMENTS: This was for a bridal shower and I love the detail in this. It was hard to unmold the middle soap. There are 5. The corner ones were easier and I did have to pop them in the freezer even after waiting almost 24 hours. But they are worth the effort. And I think because of all the pushing for the middle soap it bows in and it isn't quite level. I used a mason jar inverted on the middle soap to add a little weight to level it down. 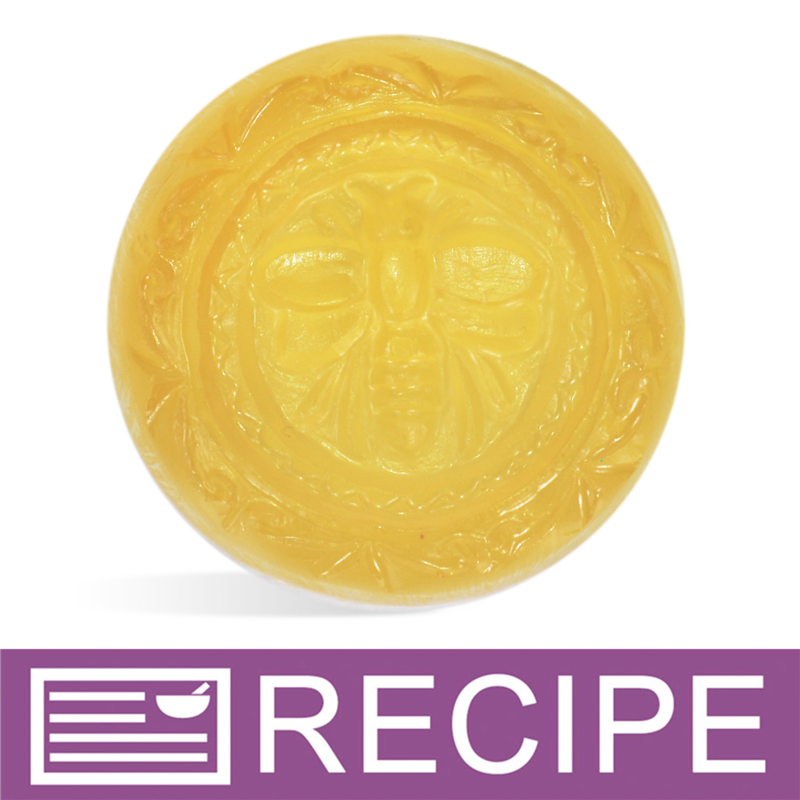 COMMENTS: I used this mold for lotion bars made with local beeswax, love the little bumble bee to add the fact that beeswax is part of the recipe! I poured it at 150, cooled, popped in freezer for a while and they fell right out, adorable! COMMENTS: This mold is used for my beeswax and shea lotion bars. Makes a handsome, deep relief bar and that releases easily. It fits perfectly into the 2 ounce metal tin. Love it! COMMENTS: I use these for my lotion bars made with beeswax, everyone loves the shape and they fit perfectly in a tin. COMMENTS: This is a perfect mold for lotion bars . They fit well in the 2 ounce metal tins. I love anything with a bee on it and this one is lovely. I have made melt and pour soaps as well. 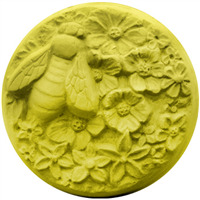 "Bee Fancy Soap Mold (MW 41) "
COMMENTS: I love the detail in this mold. I make my oats and honey lotion bars with this mold and customers love the look. COMMENTS: This mold is the perfect size for lotion bars and travel size soaps. COMMENTS: This makes a perfect 1 oz solid lotion bar. It looks SO nice, and fits nicely in a small round 2" tin. 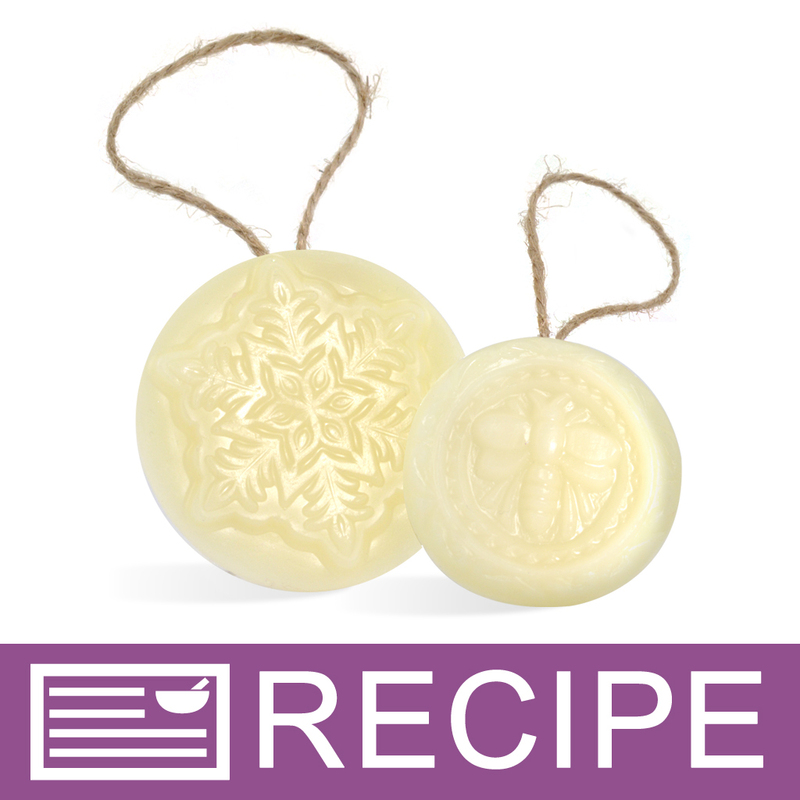 COMMENTS: I make beeswax lotion bars and thought this mold would be super cute. I don't know if it was my recipe or not but they stuck a little in the nooks and cranies when I removed them from the mold the next day. Next time I think I will try chilling them in the fridge before I unmold them hopefully that will help them to release. And like I said it could've been my recipe. COMMENTS: Used this for my Beeswax Lotion Bars and they were absolutely a hit! The image goes great with the product and everyone loved it. Need to get more to speed up my process. COMMENTS: I use this to make guest size soaps for wedding favors. It is the perfect size for this. I love the art work. COMMENTS: This mold is really good quality. The bars are not the size of a full 4oz bar but they are still a decent size. COMMENTS: Just received this mold and used it today to make a batch of lotion bars. Turned out great! 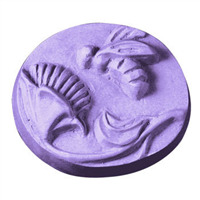 COMMENTS: This mold is great for creating honey lotion bars with beeswax, and can pull double duty as a soap mold as well. It is sturdy and has good detail inside the mold. Gives products a polished look when paired with a tin container. COMMENTS: The mold is very nice. Makes a nice guest sized soap. My molds are not perfect. The molds on one edge kinda lean so the soap is off center. In other words, the nice bee design is not centered on my bars. Detail is good. Molds seem very sturdy. Easy to unmold soap. COMMENTS: Products pop right out, like the honey bee design. "Would a lotion bar made with this mold fit in the Premium Glassine Bags 2 3/4" x 4 1/4" size?" Staff Answer Yes, this soap would fit in this glassine bag. "Which size Shallow Metal Tin Assembled Set will these fit in? I want to make lotion bars. Thank you!" "I don't know a good way to ask this : How many bee molds in one mold? Hope that makes sense." 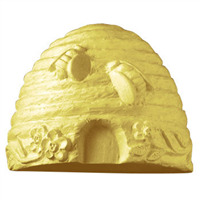 Staff Answer Hello Nancy, The (MW 41) Bee Fancy Mold makes five molds. "can you tell me how deep these are? Can you tell me: Diameter: depth: will these fit into the 2oz metal tins you sell on this site? their measurement is: 2 3/8” x 0.75” tall "
Staff Answer the mold measurements are: 2 1/8 x 0.79"